Puredyne is the USB-bootable GNU/Linux operating system for creative multimedia. One tiny USB provides you with the complete puredyne GNU/Linux system including all software, and extra space to store your files. Ideal for workshops, installations, or super lightweight travelling. Puredyne is developed for artists, by artists. It's used for live music, installation art, hardware hacking, teaching, and more. 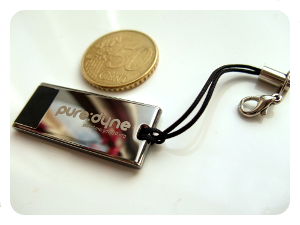 Get Puredyne here - download it for free, or buy a clever little USB stick.